After spending some time on Geelong today, I noticed that Myers st has some much hot, wasted and un-used asphalt… not to mention the unsafe bike lane. Below is my remixed version of the street. 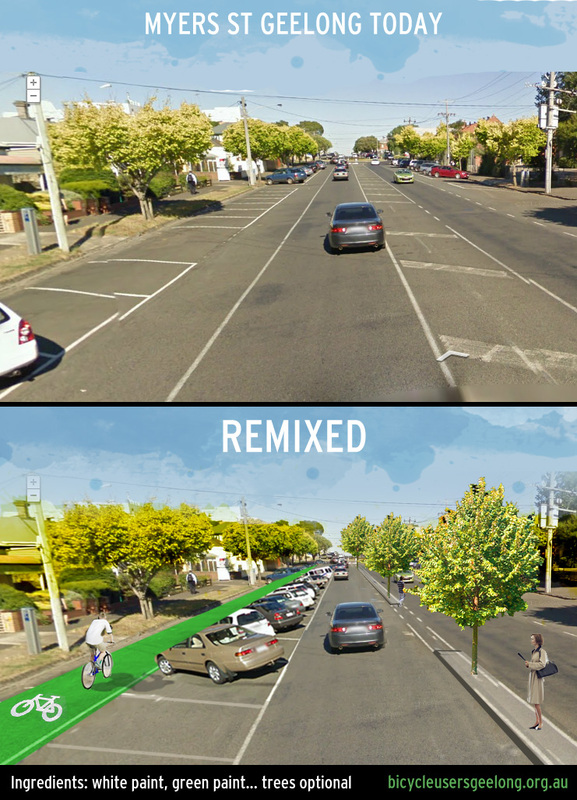 I used paint, separated bike riders from cars, trees for cooling and was careful not to lose any parking… let me know what you think. Do we need a few bike racks? Great design and visuals, love the trees. Take it to Council. We pay the council a lot of money, they should be producing these kind of works already.